This document works to protect all parties pertaining to the scope of the agreement, the agreement covers the initial design brief phase, first (1st) sign off, second (2nd) project sign off, final draft approval and authority to proceed. This section’s purpose is to provide both the company and the client involved in the initial, and any subsequent, project(s) with goals and parameters. It serves to strengthen the relationship by laying out expectations for all parties involved. By reading and signing this document, signers agree to adhere to the guidelines set out in the document. This agreement entered into, on the date signed, between the company and the client, whereas the company is being contracted by the client to create, modify, or update a website. The first phase consists of the completion of a detailed brief with the account manager or representative, the company’s designers will, from the brief, endeavour to complete a ‘website skin’ – which will include a fully laid out home page, complete with navigation layout and some functionality. The purpose of this is to let the client see how the final website will look and feel, so that the client may give constructive feedback at this time. The client will then notify the company of any changes through the “design sign off document” through to final draft approval and authority to proceed. The company will then complete the website and provide this for final amendments and approval prior to being made live. The estimated timescales for each project will be laid out in writing at the outset of the project. These timescales are subject to reasonable adjustment, subject to factors out-with the control of the company, as well as the client providing the company with the required access logins, images, logos or other material that has been agreed as necessary to complete the project. The company will endeavour to limit any such adjustments, in so far as it has the power to do so. The Client agrees to pay the company according to the customised signed order form for that individual project. Each individual project shall be paid in accordance to the schedule set out on its respective order form, and is separate to any previous or subsequent orders and payment schedules. The company will collect a one off deposit on signing date and collect the remaining balance in the timescale and format detailed in the project order form, or as subsequently amended and agreed to in writing by the company. Failure to make payments will be subject to possible legal action in order for the company to collect on any outstanding balances. Any legal fees incurred by the company may become the responsibility of the client. Because the company is creating (or working on) a customized website for the client, the client is liable for paying the company for all work done for the client, regardless if the client fails to utilise the website in production. If the Client cancels the project, they are still liable for hours already worked by the company plus any expenses incurred for the project. Both the client, and the company must endeavour to abide by the attached projected timetable outlined in the project milestones email (issued by the company following confirmation of the order), unless both parties agree to changes in writing. Email correspondence between the parties constitutes “in writing” for the purposes of this contract. The client also understands that all project created by the company will not be available for delivery or use until any due payments are received for that stage of the project. The client is responsible for adhering to all requirements set by the company. The company are not liable for any delays in the project schedule due to the client failing to provide agreed input/material/logins etc. The client understands that all computer code, photographs, and non-brand design elements are only licensed to the Client for the purposes of the project and are not the property of the Client. Some of the assets used in the design of this website may have been purchased specifically for the use in this project and any additional use by the Client may be against the law. The company retains the ownership of the website at all times, unless clearly agreed otherwise in writing by the company. The client may not sell or distribute any computer code, photographs, or other design elements created by the company for any reason, without prior written consent by the company. However, any brands or logos created by the company for the Client, will become the property of the client on receipt of any agreed payment for such and can be used at the client’s discretion for other marketing and brand purposes. The client understands that the company is being hired to design and code a website. The Website shall be hosted on the company’s approved hosting provider unless otherwise agreed with the client in writing. Technical problems associated with hosting, legacy browser testing, or any additional server-side software is not the responsibility of the company, although the company will work with the client to minimise these. The company will work with the hosting providers to ensure as reliable a hosting provision as possible, but as this is largely out-with the control of the company, therefore no liability for losses or damages due to downtime will be accepted by the company. Any technical issues caused by the client (or their appointed 3rd party) carrying out any amendments or updates to the website will be repaired at the client’s expense. Any technical issues caused by the hosting company and/or any work carried out by the company, will be repaired at no cost to the client. The client understands that the company is not responsible for revisions or updates to this project once the final agreed upon deliverable has been made live. If the Client, wishes to hire the company for additional design, coding, or writing opportunities associated with this project, a monthly website maintenance package can be added to the order, or contracted on an ad-hoc basis. The client understands that any design elements created for this project by the company may be used in the company’s portfolio for promotional use. The client and the company agree that if asked, the client must properly identify the company as the creator of this project’s work. The company reserves the right to place an outbound credit link (such as ‘Development by Hit Digital’, ‘Design by Hit Digital’ etc.) to his/her/its own website. This credit link may appear in the footer or HTML/CSS documents of this project. If changes are made to the scope of this project, these changes must be agreed upon by both parties and must be made in writing. If significant changes are being made, either by the Client or the company, a new order must be issued and signed by the client. For all websites built by the company, the company agrees to provide website hosting on a twelve (12) month contractual term of service (“Term”). For any websites that the company has not built, but is hosting on behalf of the client, the company will charge an agreed fee for the hosting, detailed in writing on the order form. The company will also charge a similar fee for any websites we have built, once the initial 12 month contractual term expires. The service start date shall be determined as the date on which the website was made live by the company. This Agreement will automatically renew for successive twelve (12) month Terms unless cancelled in writing by the client at least 30 days prior to the end of Term renewal date. Renewal prices are subject to change. Renewal of services by Client indicates agreement to any Contract revisions and price changes. Renewal fees for the following term will be automatically invoiced to Client’s account. Company agrees to create, install, manage, develop and employ custom digital marketing strategies according to the terms listed. Company agrees to develop the Digital Marketing Services in accordance with the specification that accompanies any order. Company will use reasonable diligence in the development of the SEO services and endeavour to deliver to the client all deliverables and milestones in accordance with the details laid out in the project specification. The client acknowledges, however, that this delivery deadline and the other payment milestones listed are estimates, and are not required delivery dates. The Company will be retaining all documents, source code, keyword lists and other assets employed or created for the client during the execution of this agreement. The client will only receive the output formats of Company’s work where applicable. The output is to be used only within the scope of the project as outlined in the project specification. The client shall retain all of its intellectual property rights in any text, images or other components it owns and delivers to Company for use in the any digital marketing services rendered under this agreement. Digital Marketing Services are intended to provide the client with improved presence and prominence in the digital marketplace, reporting the results on an ongoing and timely basis. Where appropriate, the company will provide a comprehensive list of keywords and phrases relevant to the client’s desired search terms, in accordance with the project specifications. For Digital Marketing Services provided to a client’s existing website, the Company will create or edit the client’s existing Web Pages to include various HTML tags, content, text or other elements as deemed necessary by Company in order to aid submissions to selected search engines and directories. The client agrees to provide adequate access to their existing website for these purposes. The Company will register any agreed additional domains required for any particular project. Registration shall be in the client’s name and a schedule of fees for maintaining the additional domains shall be billed to the client accordingly. The company will create an appropriate amount of additional Web Pages for the purpose of targeting specific, agreed upon, keyword or key-phrase searches relevant to the client’s Web Site. These Web Pages will be placed in locations determined to be most effective and at the company’s sole discretion. The company may employ proprietary positioning techniques, coding and other resources, as it deems necessary to improve the client’s positioning. Company reserves the right to create specially coded Web Pages to prevent competitors from copying code or any resources employed by the Company. The company may install, update, upgrade and configure various software packages as required by the Specifications and provide documentation and instructions to the client on using all Software installed by the Company. If appropriate, the company shall provide an agreed amount of training to the client, and turn over all disks, CD-ROMs, Digital media, downloads, links or other Software purchased for Customer under this Agreement to The client. The company shall not be responsible for keeping copies, back-ups or any other form of the Software after turning over the original copies to the client. The company will not maintain the Installation, updates, or any daily tasks required for the maintenance of the Software under this Agreement unless otherwise detailed in the project specification. The company will not manage or maintain copies of licenses for any of the software packages or installations under this Agreement. All licenses for software installations will be turned over to the client upon execution of this Agreement. Where appropriate, the company will individually submit the client’s Web Pages to the search engines and directories as stated in the project specification. The company will create custom reports for traffic and positioning of the client’s Web Site, Web Pages and any additional Web Sites or custom Web Pages created by the company under this Agreement. The company will provide detailed reports as required by the Specifications and shall endeavour to provide the reports to the client in a timely manner. The client acknowledges that any reports provided by Company are to be considered estimates based on industry standard reporting software and techniques and shall never be construed as an exact counting of each and every submission. The company will provide editing services and continue to adjust all Web Pages, keywords and other media created under this Agreement for a period of (12) twelve months in order to increase the effectiveness of SEO services. The scope of this editing relates solely for the purposes of improved performance of SEO and PPC marketing, any additional editing or amendments required by the client will be chargeable at an agreed rate. The company will develop and maintain regular monitoring and reporting on search engine placement and SEO performance. Reports will be provided to the client on a monthly basis. a) The Company accepts no responsibility for policies of third-party search engines, directories or other Web Sites (“Third-party resources”) that the company may submit to with respect to the classification or type of content it accepts whether now or in the future. The client’s Web Site or content may be excluded or banned from any Third-party resource at any time. The client agrees not to hold Company responsible for any liability or actions taken by Third-party resources under this Agreement. b) The client acknowledges that the nature of many of the resources that the Company may employ under this Agreement are competitive in nature. The company does not guarantee #1 positions, consistent positioning, “top 10 positions” or guaranteed placement for any particular keyword, phrase or search term. The client acknowledges that the Company’s past performance is not indicative of any future results that the client may experience. c) The client acknowledges that SEO and submissions to search engines and directories can take an indefinite amount of time for inclusion, unless paid inclusion programs are employed. Each edit or change made to any resources employed by the company will repeat these inclusion times. d) The client acknowledges that any of the search engines, directories or other resources may block, prevent or otherwise stop accepting submissions for an indefinite period of time. e) The client acknowledges that search engines may drop listings from its database for no apparent or predictable reason. The company shall re-submit resources to the search engine based on the current policies of the search engine in question and whether pay inclusion programs are being used. f) The Company will endeavour to make every effort to keep the client informed of any changes that the Company is made aware of that impact any of the SEO Services and the execution thereof under this Agreement. The client acknowledges that Company may not become aware of changes to Third-party resources, industry changes or any other changes that may or may not affect SEO services. g) The client acknowledges that some of the Third-party resources only offer paid inclusion programs that require a fee or continued maintenance or performance fees. The client is solely responsible for all paid inclusion fees and must maintain adequate funds in any Third-party accounts in order to maintain inclusion in these resources. h) The company reserves the exclusive right, for the duration of this Agreement, to approve or disapprove any design strategies, existing code or other techniques, whether requested by the client or presently employed by the client that are considered by Company to be detrimental to SEO and the execution of the Company’s services under this Agreement. Withdrawal of services while amounts remain outstanding. Remove equipment, software, services or resources owned by the Company, whether leased to the client by Company or. The client and the company acknowledge and agree that the Specifications and all other documents and information related to the development of Digital Marketing Services (the “Confidential Information”) will constitute valuable trade secrets of the Company. The client shall keep the Confidential Information in confidence and shall not, at any time during or after the term of this Agreement, without the Company’s prior written consent, disclose or otherwise make available to anyone, either directly or indirectly, all or any part of the Confidential Information. The company warrants that Digital Marketing products and services will conform to the Specifications for a period of 30 days from the date of acceptance by The client. If the digital marketing products or services do not conform to the Specifications, Company shall be responsible to correct The Digital Marketing Services without unreasonable delay, at the company’s sole expense and without charge to the client, to bring them into conformance with the Specifications. This warranty shall be the exclusive warranty available to the client. The client waives any other warranty, express or implied. The client acknowledges that Company does not warrant that digital marketing products and services will work on all platforms. The client acknowledges that the Company will not be responsible for the results, productivity or any other measurable metric not specified in the order or attached product specification, obtained by the client. The client waives any claim for damages, direct or indirect, and agrees that its sole and exclusive remedy for damages (either in contract or tort) for any project is the return of the consideration paid to Company as set forth in any respective order form, attached hereto. The company shall be retained as an independent contractor. The company will be fully responsible for payment of their own income taxes on all compensation earned under this Agreement. The client will not withhold or pay any income tax, social security tax, or any other payroll taxes on the company’s behalf. The company understands that they will not be entitled to any fringe benefits that the client provides for its employees generally or to any statutory employment benefits, including without limitation worker’s compensation or unemployment insurance. The client agrees to make available to the Company, for the Company’s use in performing the services required by this Agreement, such items of hardware and software as the client and the company agree are reasonably necessary for such purpose. The client agrees to make available any access to services, hosting, ftp or other resources deemed necessary by the company to fulfill its obligations under any order placed by the client. This Agreement shall be governed by and construed in accordance with Scottish Law. This Agreement shall be binding upon and ensure to the benefit of the client and the company and their respective successors and assigns, provided that the company may not assign any of their obligations under this Agreement without The client’s prior written consent. 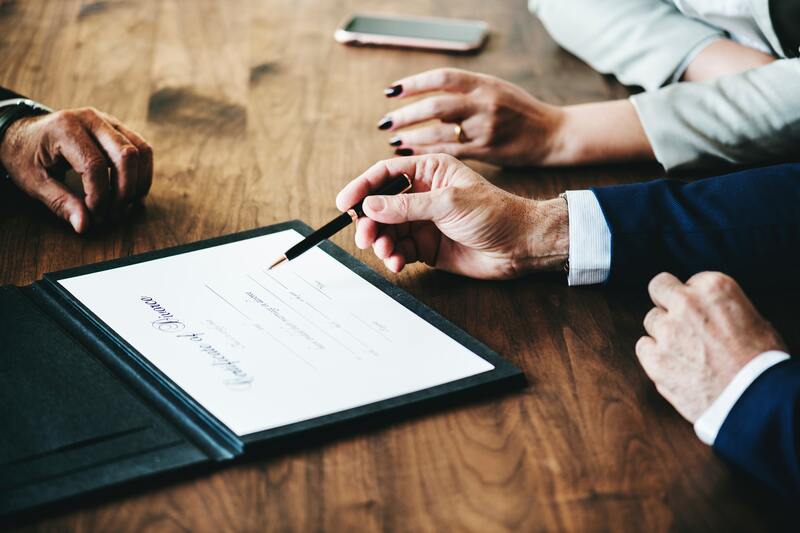 The client has no right to assign, sell, modify or otherwise alter this Agreement, except upon the express written advance approval of Company, which consent can be withheld for any reason. In the event the client fails to make any of the payments set forth on any respective order form, within the time prescribed said order form, the company has the right to remove any products and services under the company’s control until payment is paid in full, plus any accrued late payment charges and interest in accordance with statutory law. The client warrants that everything it provides the company to employ in any project is legally owned or licensed to the client. The client agrees to indemnify and hold the company harmless from any and all claims brought by any third-party relating to any aspect of website design, hosting or digital marketing services, including (but without limitation to) any and all demands, liabilities, losses, costs and claims including legal fees arising out of injury caused by the client’s products/services, material supplied by client, copyright infringement, and defective products sold or advertised online by the client. The client further agrees to indemnify the company from responsibility for problems/disruptions caused by third-party services that the client may use, such as merchant accounts, shopping carts, shipping, hosting services, real time credit card processing and other services that relate to the ownership and operation of digital marketing projects. The client grants the company the right to use its work in producing digital marketing media/content for promotional purposes and/or to cross-link it with other advertising developed by the company. The client grants Company the right to list, reference or otherwise identify the client as a the client of the company in the company’s advertising and marketing. The company will have no responsibility for any third-party disrupting, intruding or otherwise copying files in part or in whole on all or any part of the work performed for Digital Marketing Services or Website Design/Hosting. The company is not responsible for any down time, lost files, improper links or any other loss that may occur in the operation of SEO under this Agreement. The company will have the exclusive rights in making any derivative works from any of its work, practices, coding, programming or other work in regards to SEO or Digital Marketing Services. In the event any party to this Agreement employs a legal representative to enforce any of the terms of the Agreement, the prevailing party shall be entitled to recover its actual legal fees and costs, including expert witness fees. The client agrees that the company’s identification may be annotated, and remain, within the code or on the Web Site as the authors. The client also agrees to put Company’s copyright notices on SEO, website design and the relevant content therein. In the event Company is unable to continue maintenance of any of its products or services, non-exclusive rights to those products or services will be granted to The client. Transfer of Rights does not apply to non-transferable third-party licenses and proprietary Material owned by the Developers. Any domain name registered on The client’s behalf will normally be made in the client’s name for both the billing and administrative contacts. The technical contact is generally required to be the hosting ISP or Domain Registrar. The company will generally not register domain names in Company name, however any domains that are registered to the company can still be transferred to the client at the client’s request. The client is responsible for renewing the client’s domain name, but the company will endeavour to remind the client of this whilst the client remains an active the client of the company. Terms of payment are as specified on the project order form. Credit is at the discretion of the company, and the client will be due to pay the agreed instalments on the dates specified on the project order form. We reserve the right to revoke any credit extended if payment is in arrears for more than 30 days, or has been late on more than 2 occasions. For websites not built by the Company, it will exercise no control whatsoever over the ongoing content of the information passing through the network, email or web site – aside from that required for the provision of any additional digital marketing services. The client accepts full responsibility for all existing content and content added by the client or an appointed 3rd party on their behalf. Company makes no warranties or representations of any kind, whether expressed or implied for the service it is providing. Company also disclaims any warranty of merchant ability or fitness for any particular purpose and will not be responsible for any damages that may be suffered by Client, including loss of data resulting from delays, non-deliveries or service interruptions by any cause or errors or omissions of Client. Use of any information obtained by way of Company is at Client’s own risk, and Company specifically denies any responsibility for the accuracy or quality of information obtained through its services. Connection speed represents the speed of an end-to-end connection. Company does not represent guarantees of speed or availability of end-to-end connections. Company expressly limits its damages to Client for any non-accessibility time or other down time to the pro-rata monthly charge during the system unavailability. Company specifically denies any responsibilities for any damages arising as a consequence of such unavailability. The Client warrants that it has the right to use any applicable trademarks or copyrighted material used in connection with this service, or provided to the company for the provision of any additional digital marketing services. Client may not assign or transfer this Agreement, in whole or in part without the prior written consent of Company. In the event that Client contemplates whole or partial sale of its business, ownership change, or change in jurisdiction, Client shall notify Company by mail or email no less than 60 days prior to the effective date of the event. The company may terminate this Agreement at its sole discretion upon the occurrence of one or more of the following events: 1) failure to comply with any provisions of the Agreement upon receipt of written notice from Company of said failure, 2) appointment of Receiver or upon the filing of any application by Client seeking relief from creditors, 3) upon mutual agreement in writing of Company and Client. The client shall indemnify and hold the Company harmless from and against any and all claims, judgements, awards, costs, expenses, damages and liabilities (including reasonable attorney fees) of whatsoever kind and nature that may be asserted, granted or imposed against Company directly or indirectly arising from or in connection with Client’s marketing or support services of the product or services or the unauthorized representation of the product and services or any breach of this Agreement by Client. If any provision of this Agreement is held to be unenforceable, the enforceability of the remaining provisions shall in no way be affected or impaired thereby. This Agreement shall be governed by and construed in accordance with Scottish Law, regardless of the client’s location. A failure by any party to exercise or delay in exercising a right or power conferred upon it in this Agreement shall not operate as a waiver of any such right or power.